Ross Lynch, star of Netflix’s new hit ‘Chilling Adventures of Sabrina’, is on the cover of the HERO Winter Annual 2018. Also in the issue: actors Callum Turner and Jorge Lendeborg Jr, Mandy director Panos Cosmatos, artist Theaster Gates, Fondazione Prada’s Astrid Welter, artist Eliza Douglas, jewellery designer and sculptor Slim Barrett, anonymous Russian art collective VASYA RUN, writers Arabella Noortman and Matthew Later and Arctic, New Frontier photographers Yuri Kozyrev and Kadir van Lohuizen. 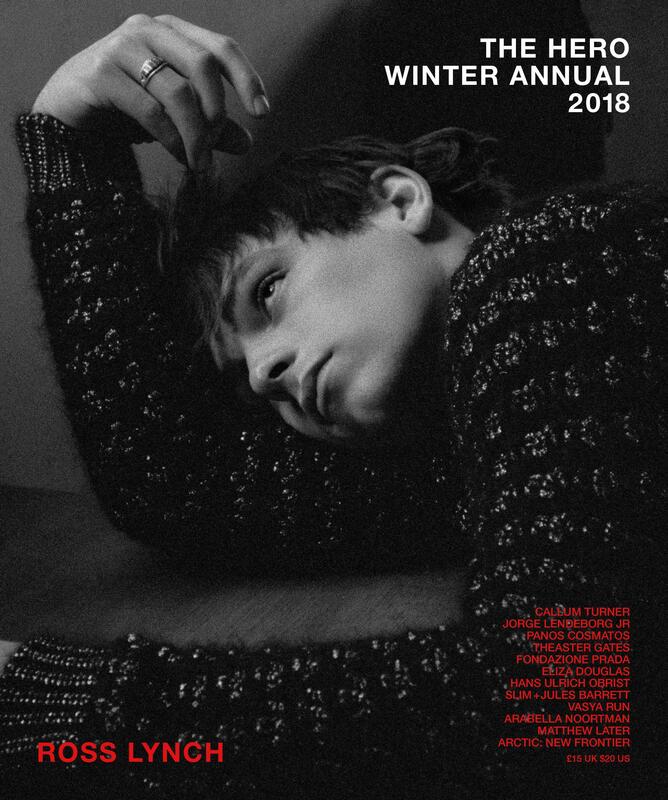 Hero is a London based magazine that debuts the Next Big Thing: the models that will define catwalks and campaigns for seasons to come. Working with some of the industry’s newest…..